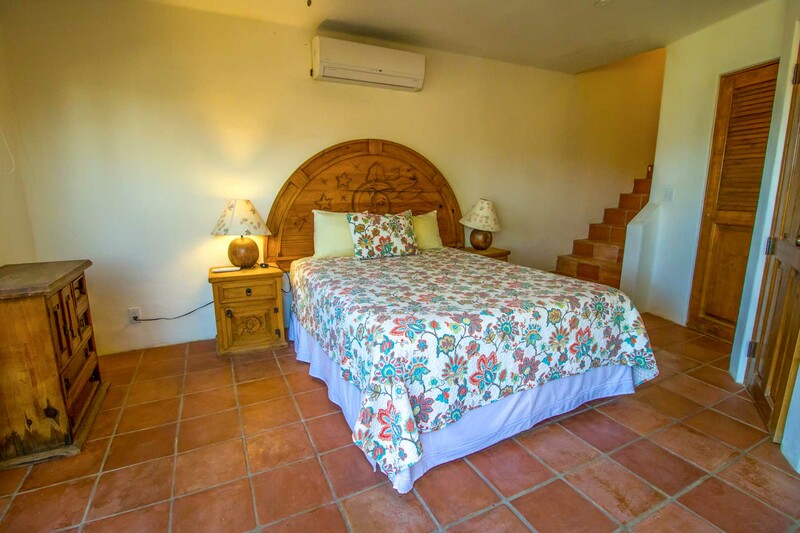 The villa was built in 1995 and has recently been remodeled. 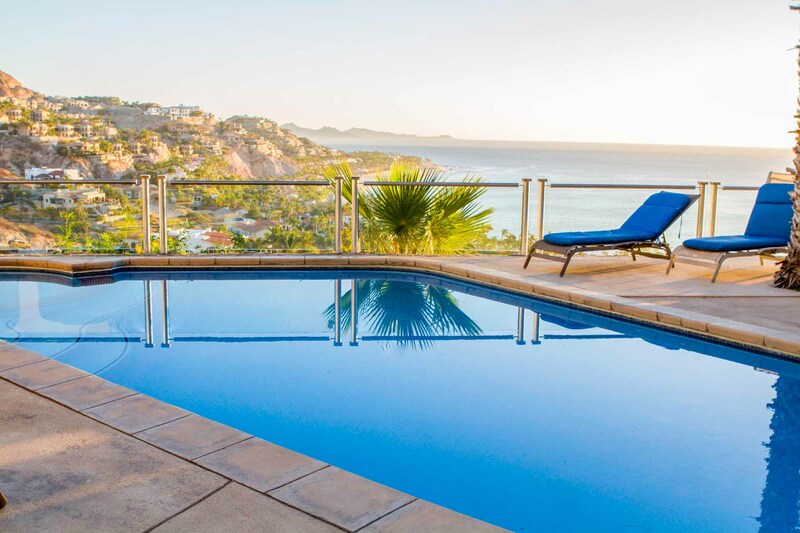 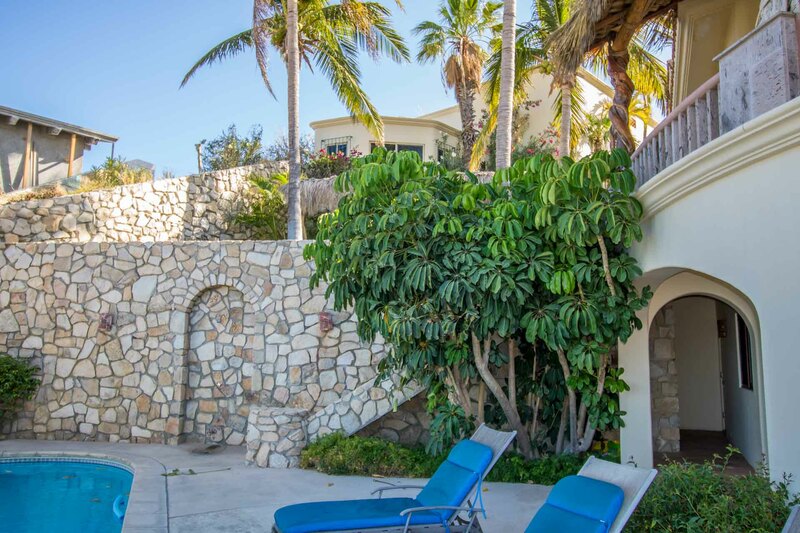 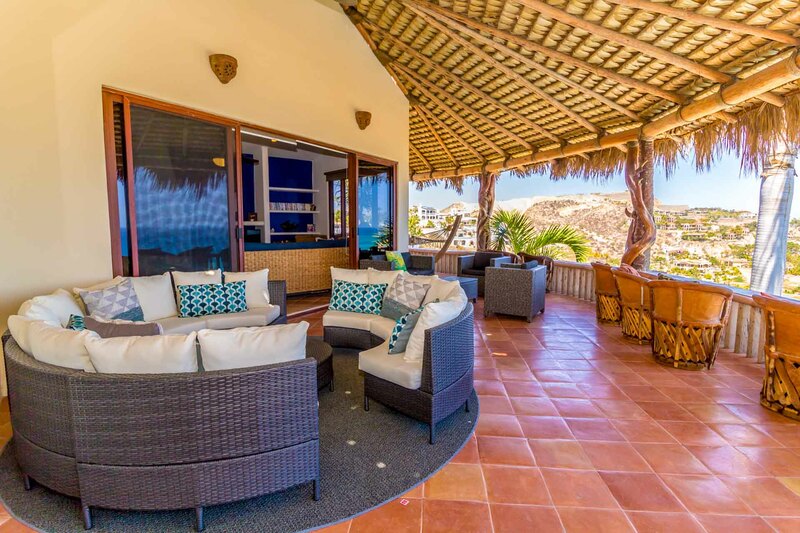 It comprises 4000 square feet and features 5 bedrooms and 5 baths, with 3 outdoor entertainment areas — all of which have expansive panoramic views of the Sea of Cortez. 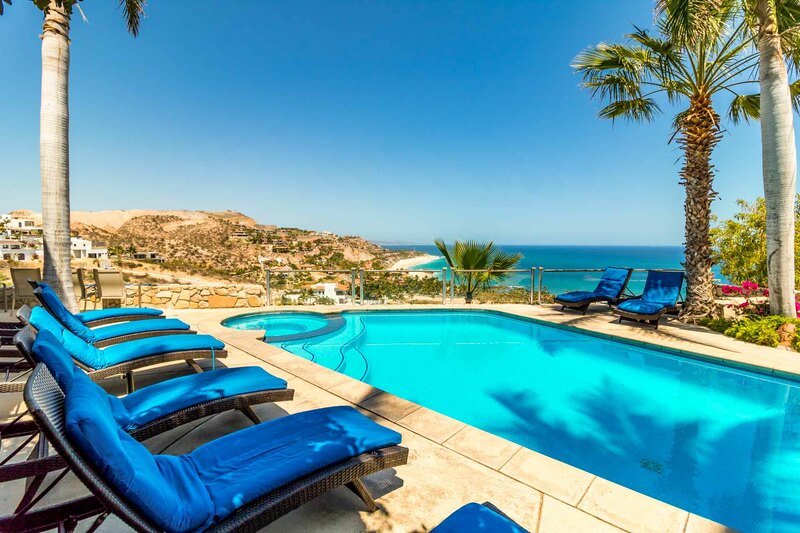 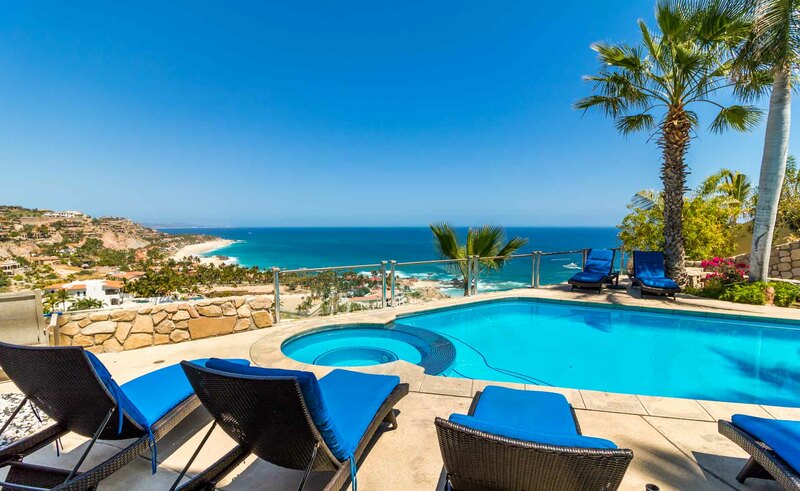 Many local visitors to the villa comment it has the best overall ocean views and is among the best designed in all of Los Cabos. 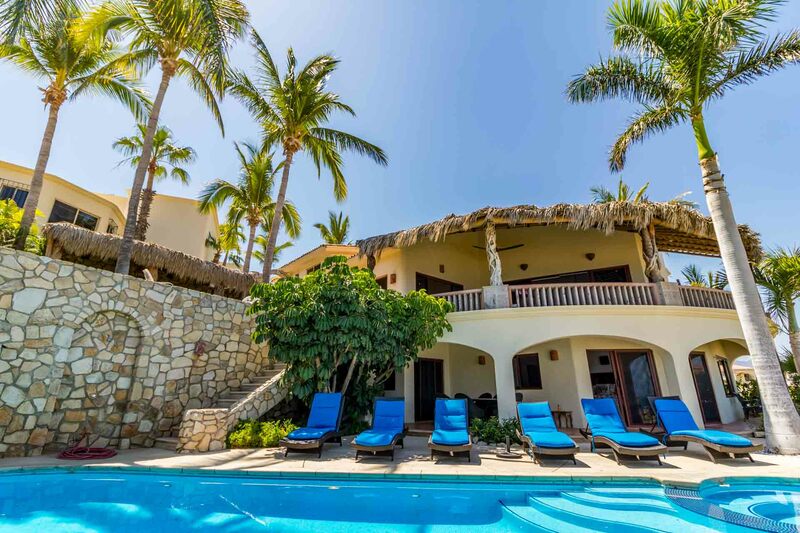 One of the many highlights of Casa Tranquila for families, couples, and large groups alike is the pristine outdoor pool, hot tub, & patio. 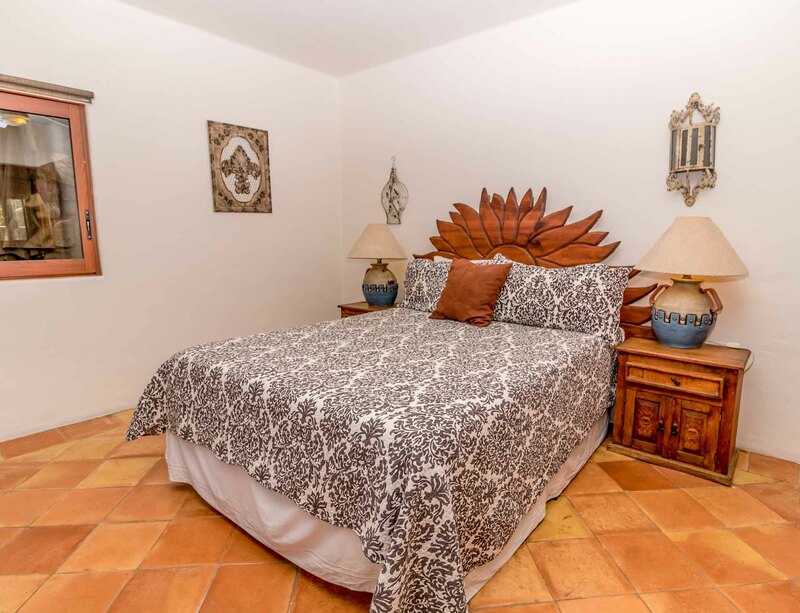 Both the pool and hot tub have heat available year-round for your comfort, and the luxury patio recliners near the pool come equipped with umbrellas to shield yourself from the sun when you’re in need of shade. 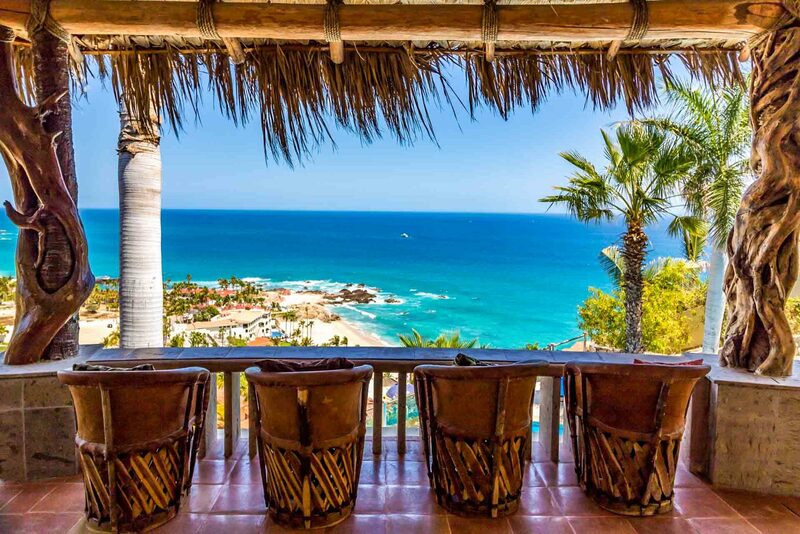 You’ll never want to leave. 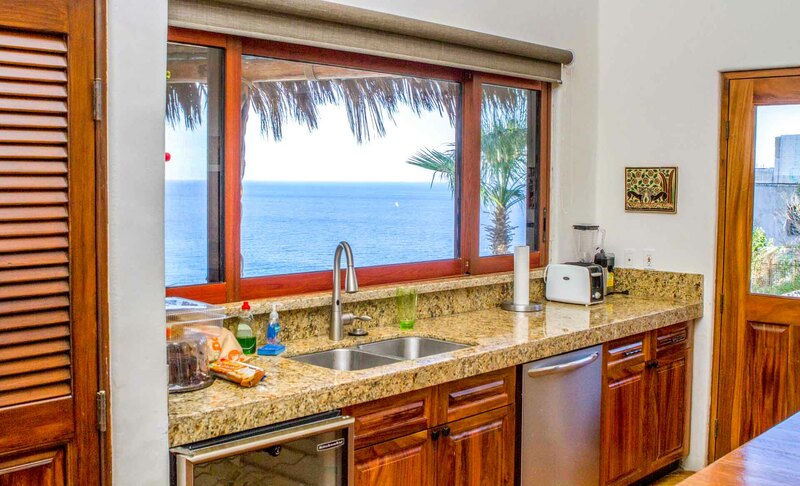 Always a favorite congregating area for groups, the fully equipped kitchen adjoins the great room and features panoramic views of the ocean. 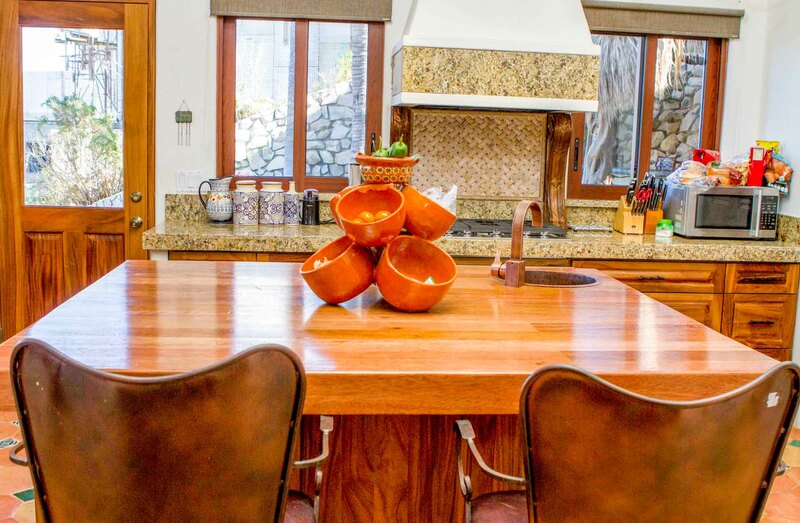 Across from separate food and bar pantries, the large island prep area is a great place to share memories with family and friends. 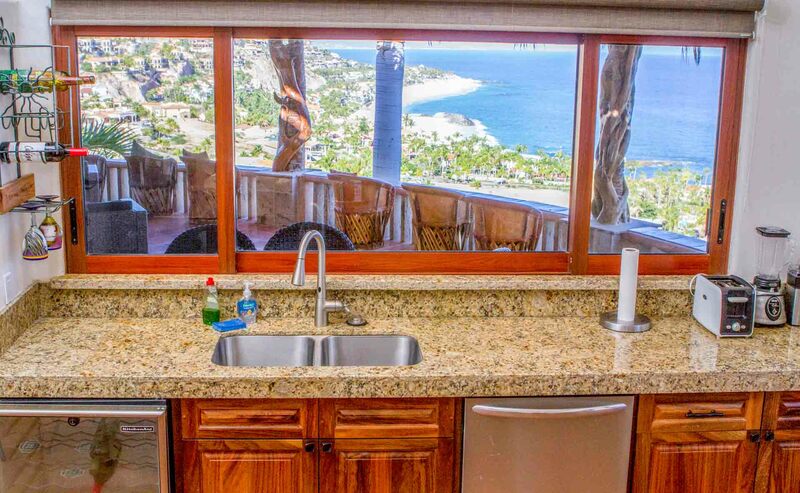 The entire kitchen has been recently remodeled. 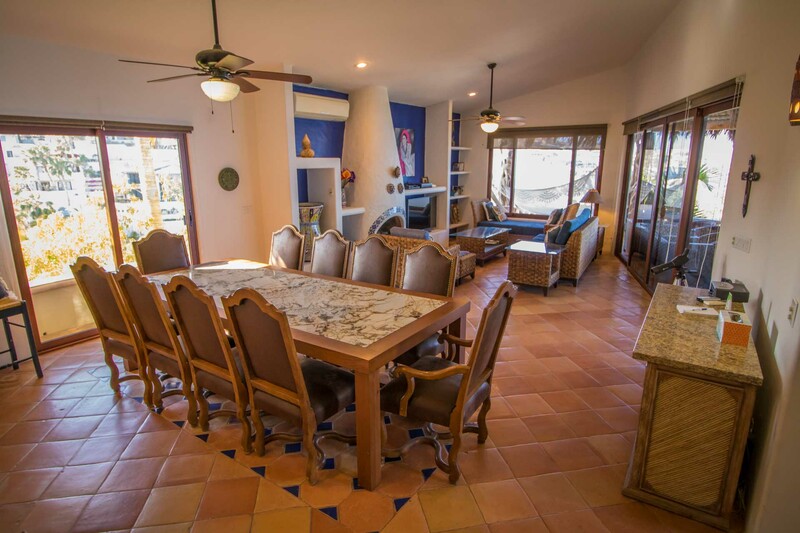 Upon entering the villa, stairs descend into a beautifully appointed great room with indoor dining and living areas. 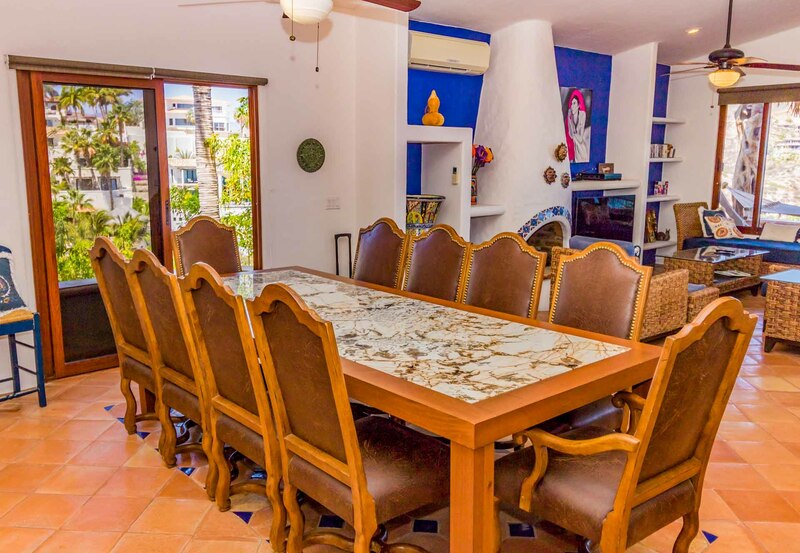 An ornate Guadalajara-crafted table and chairs with seating for 10 sit next to sliding glass doors which open to great views of the mountains and westerly sunset. 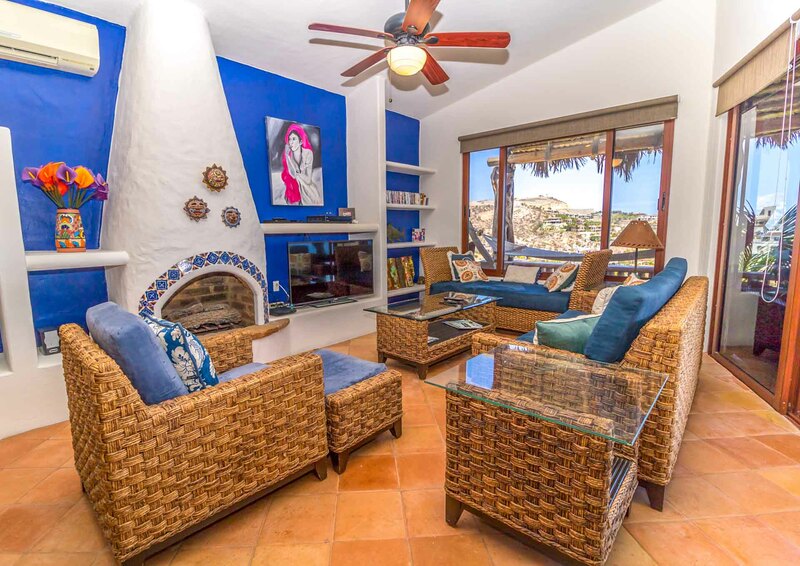 The adjoining indoor living room has seating for five around a gas Kiva fireplace and HD-TV. 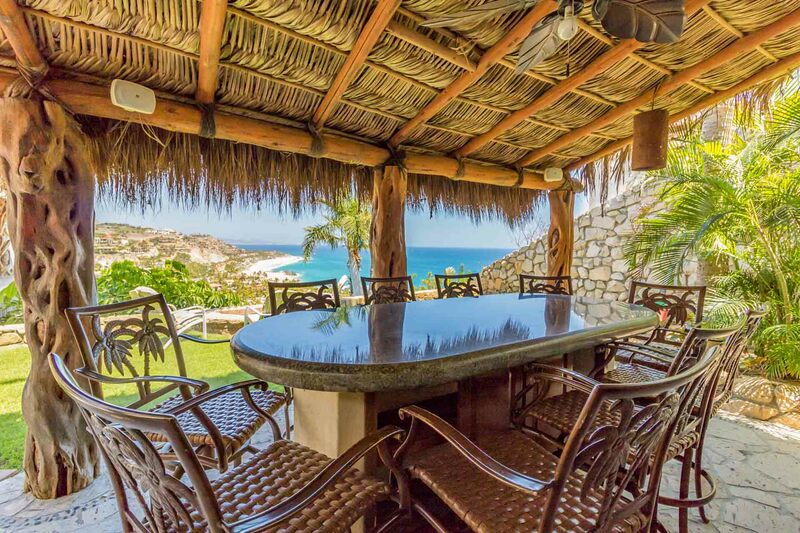 Adjoining double glass sliding doors open this area to the Palapa Patio Overlook outside. 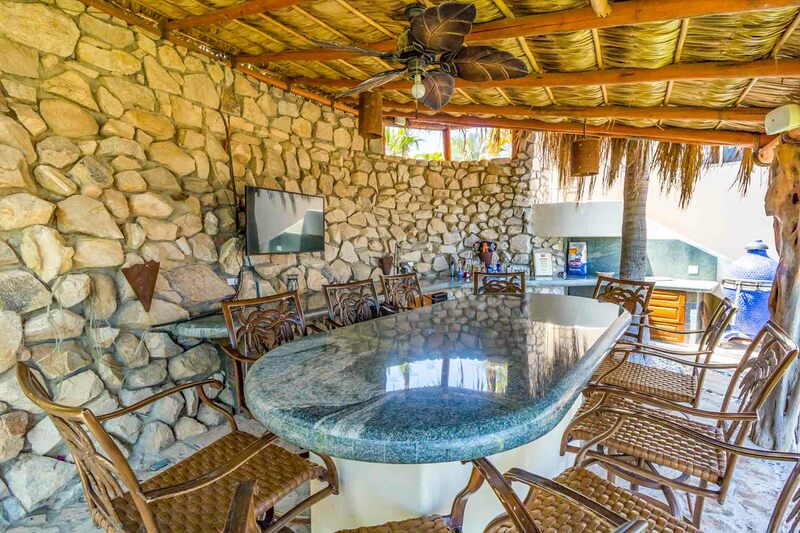 Surrounding the kitchen and great room is a large palapa- covered patio with lounge seating for 14. 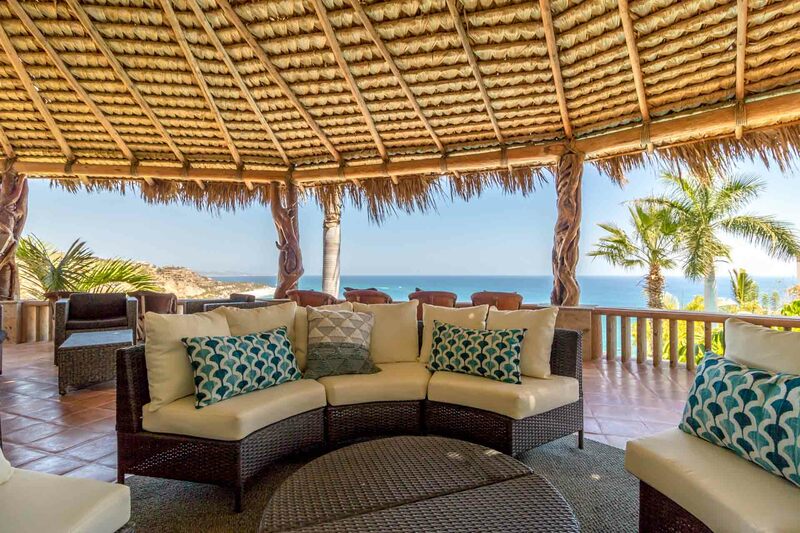 At one end of the patio is a large colorful hammock for secluded afternoon reading and relaxation. 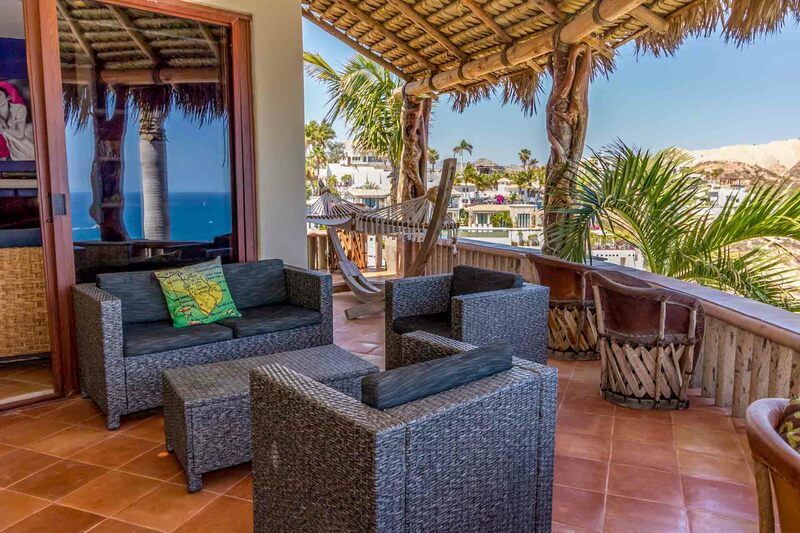 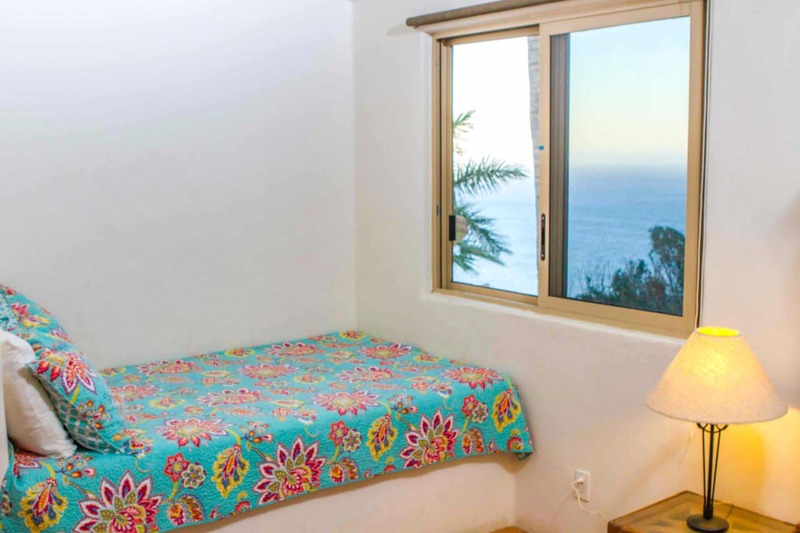 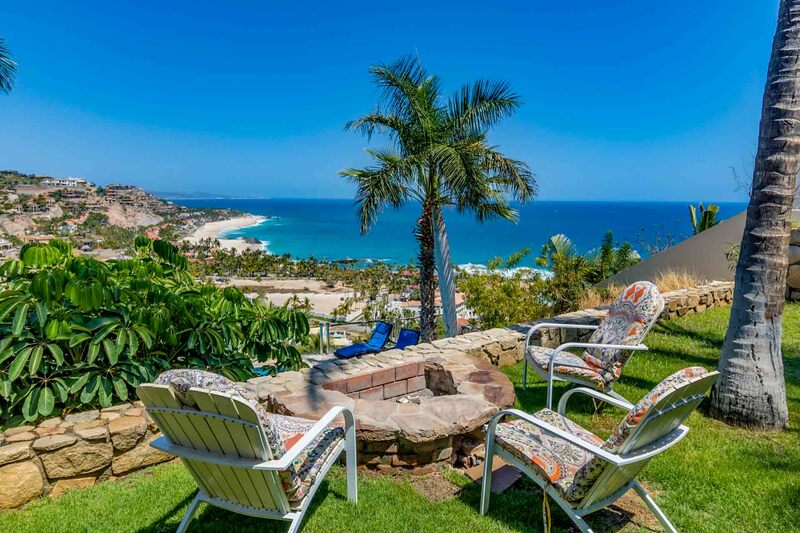 The palapa patio is a focal point of the house with spectacular views of the crashing waves on the beach below and a perfect spot to watch whales, people and boats with a spotting scope from your high panoramic view. 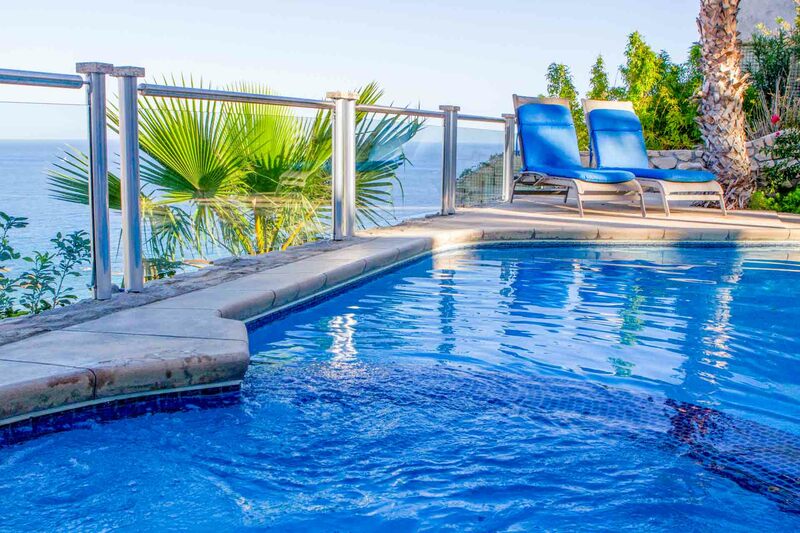 Great photos of the sunrise and moonrise out of the water are frequent collections our guests take home. 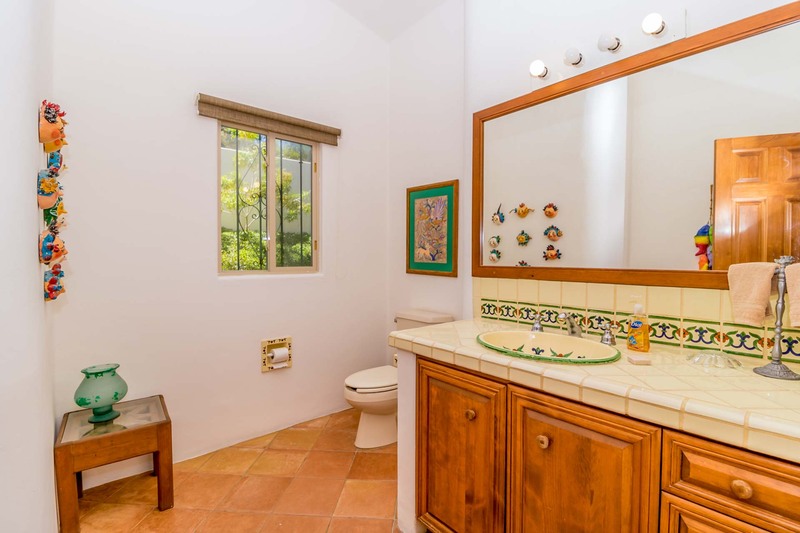 This new feature of the house has been an enormously popular addition. 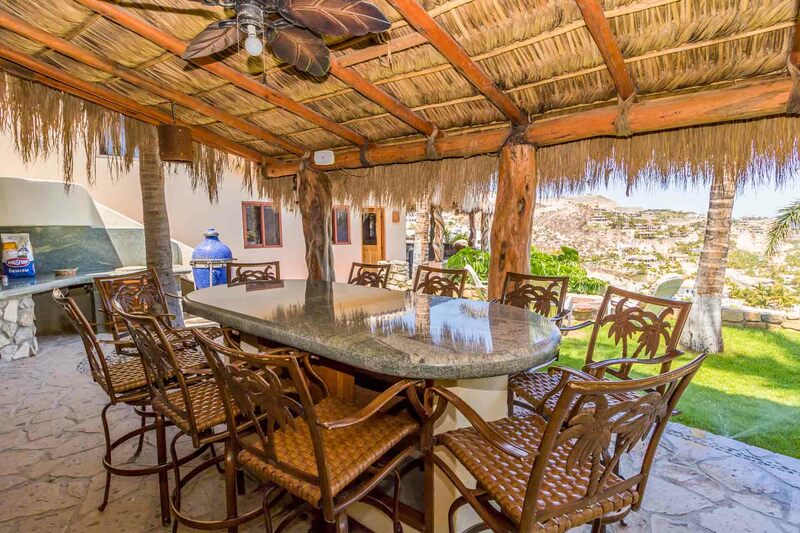 Just steps outside of the kitchen is a backyard gathering area under a palapa roof extending from a handcrafted stone wall. 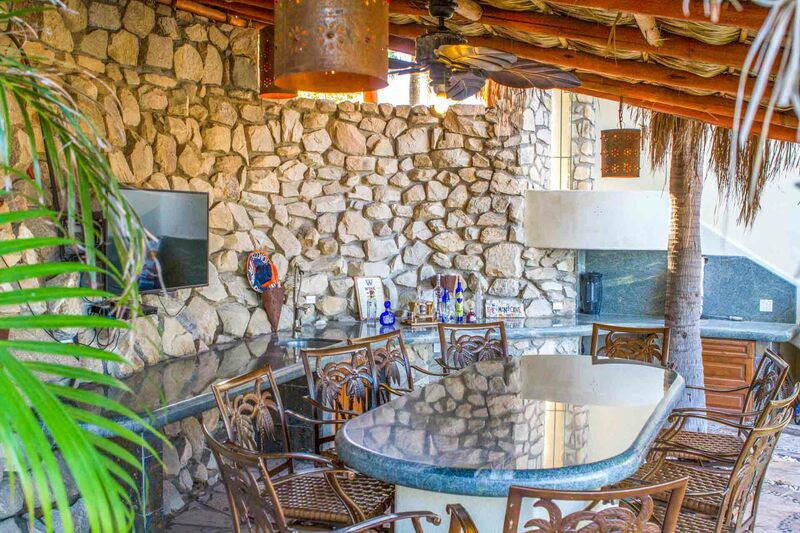 It features a margarita bar with ice machine, sink, and blender. 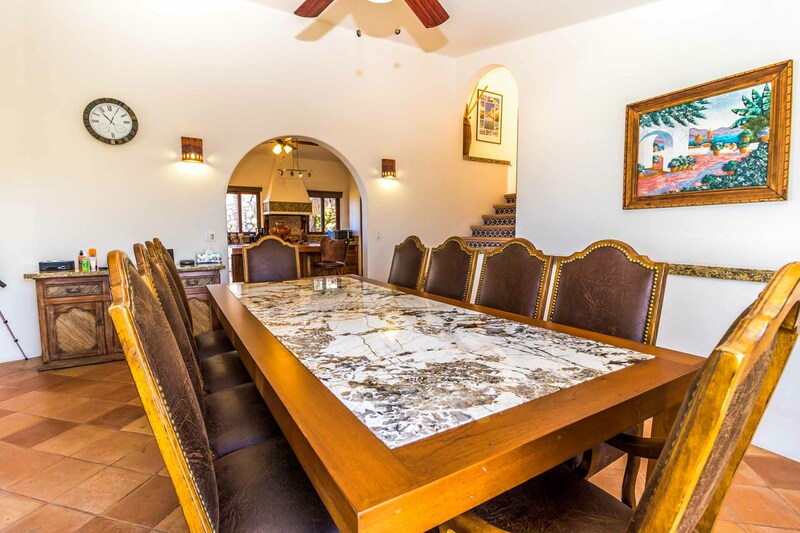 An oval granite bar table with seating for 10 is a great place for card games, dining or watching your favorite game on the large flat screen TV. 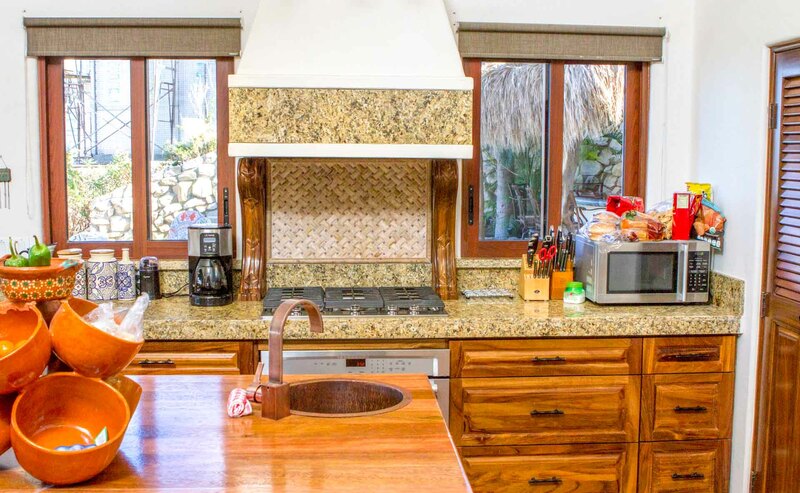 Chefs love this area because of the adjoining Kamado Barbeque grill station. 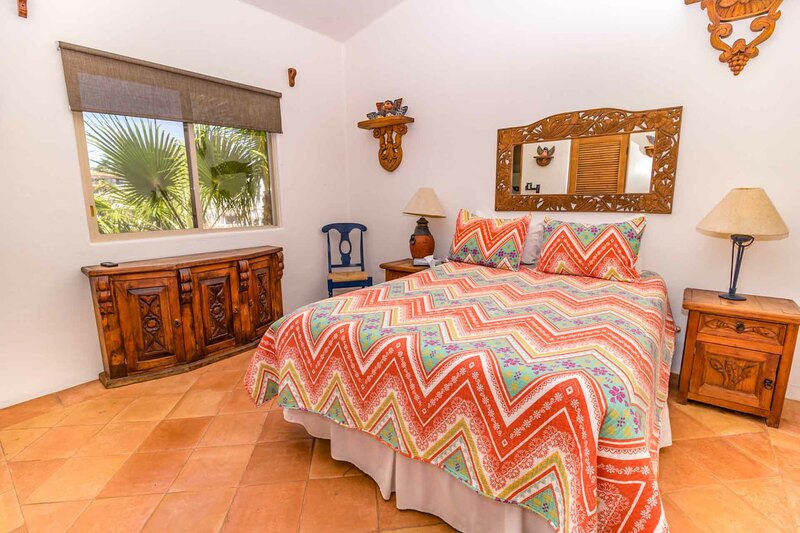 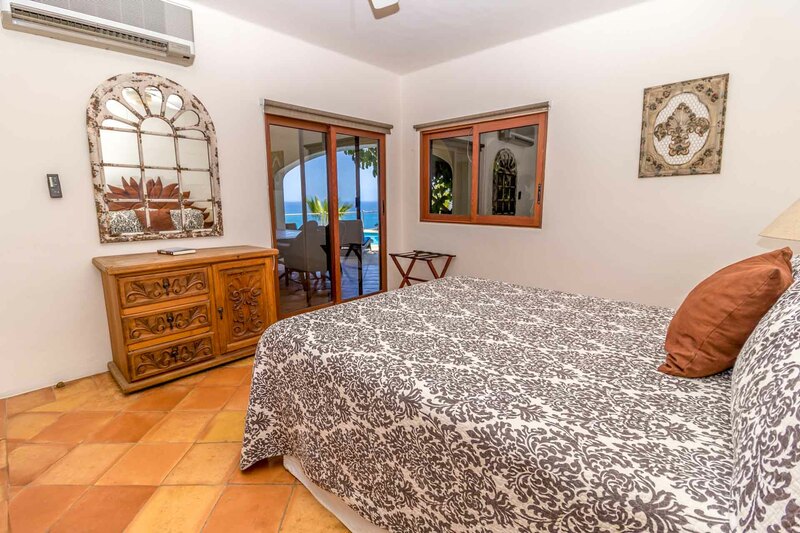 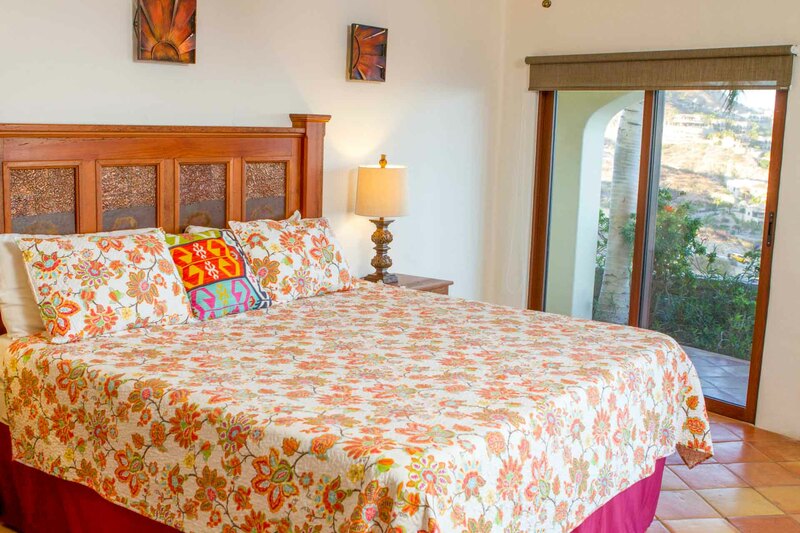 Each of Casa Tranquilas’ 5 bedrooms is appointed uniquely. 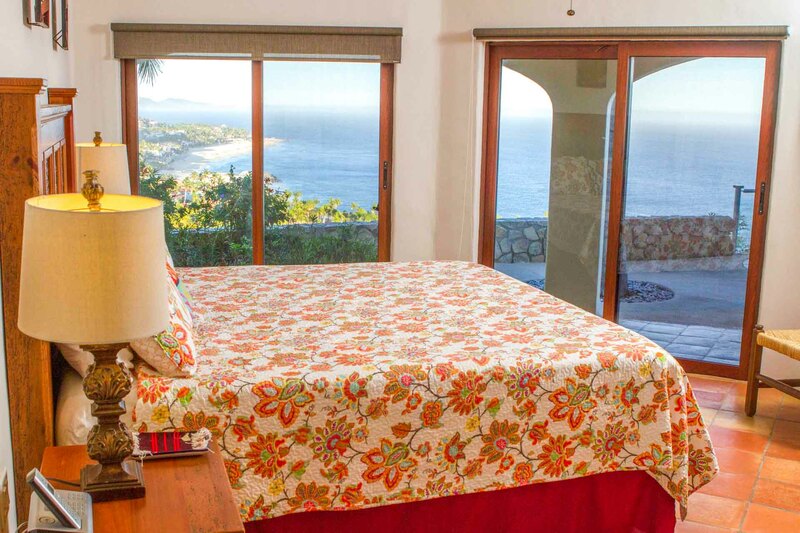 The master and nearby bedroom are on the lower level and have glass sliding doors that open to the pool. 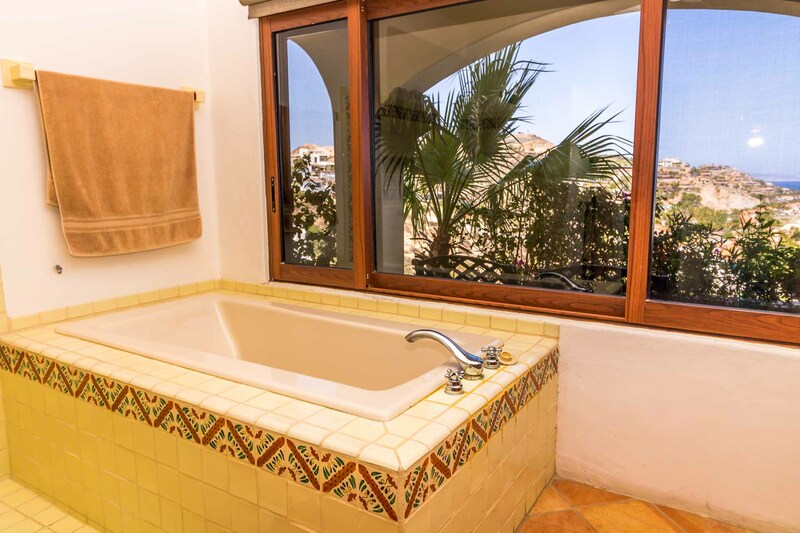 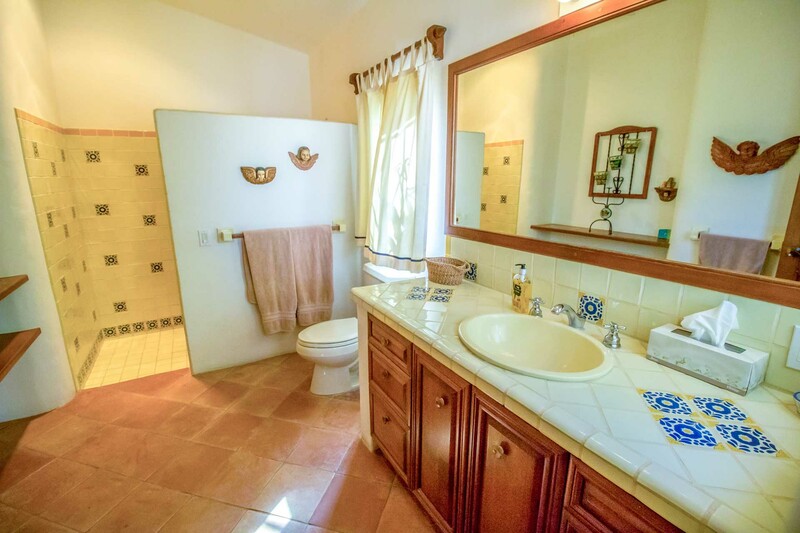 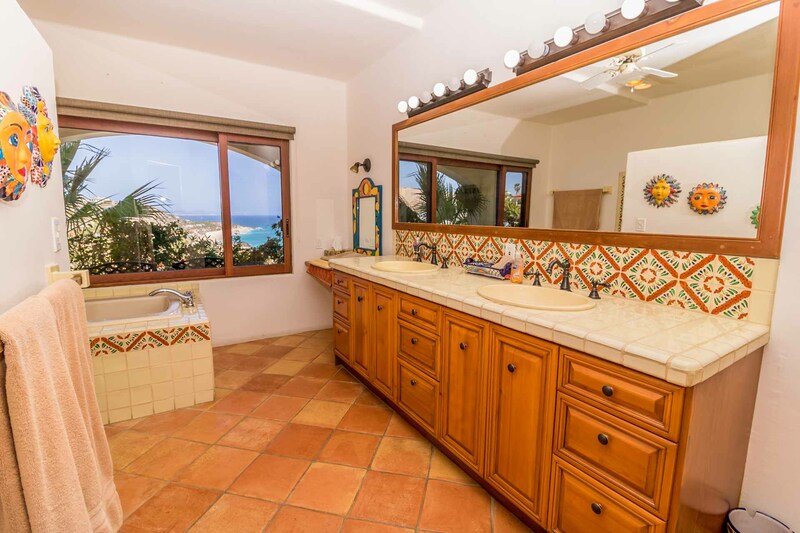 The ornate Mexican tiled master bath has great ocean views and a walk-in shower with adjoining bathtub. 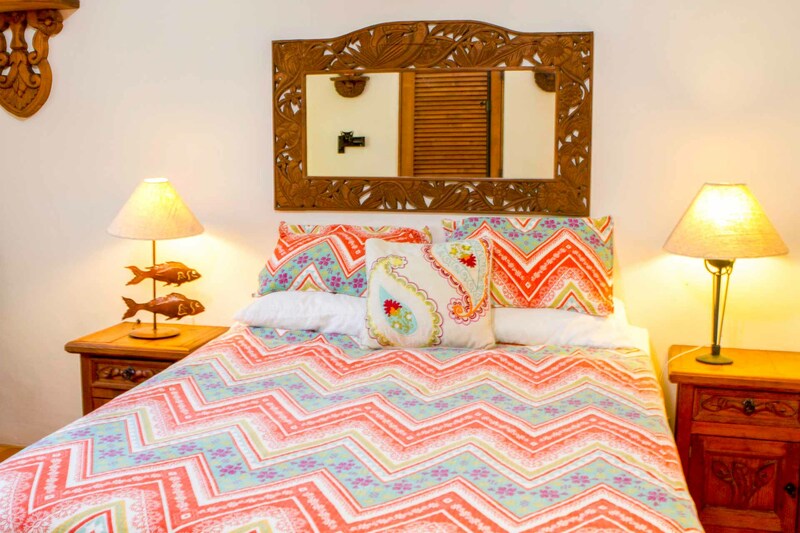 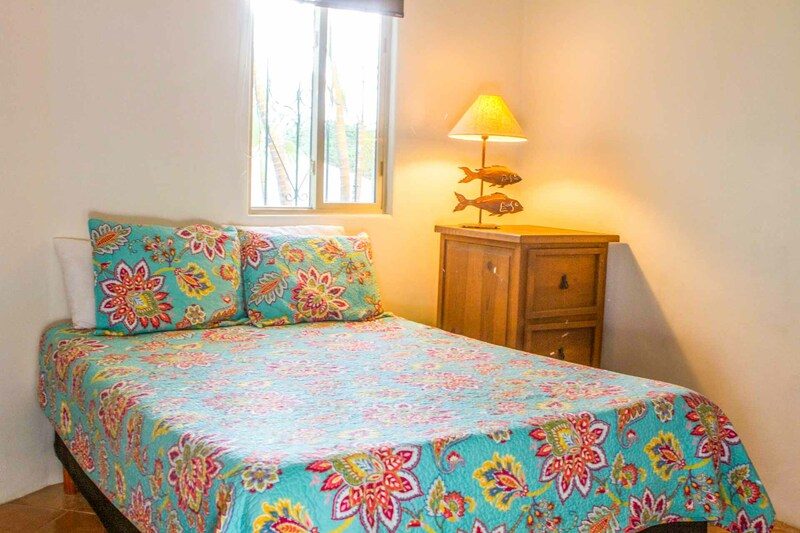 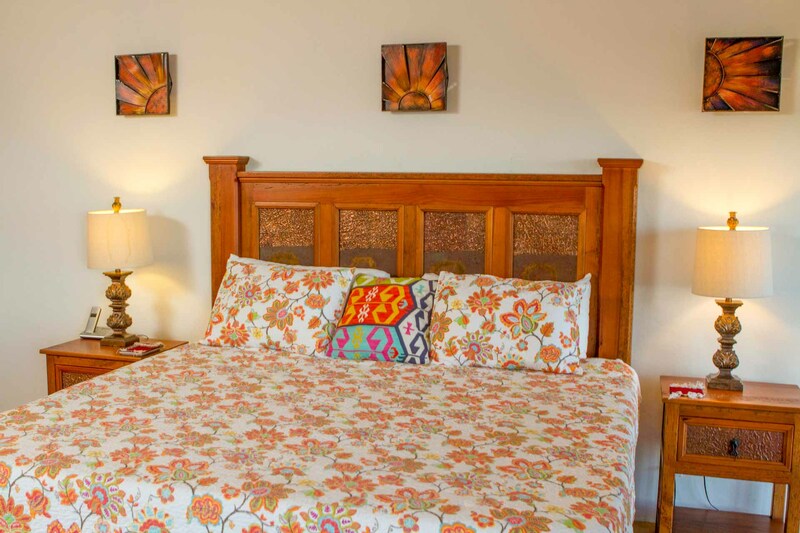 All bedrooms have ceiling fans as well as individual wall-mounted air conditioning units for your comfort.